Sharri Markson from News Corp speaks to Scott Morrison during the 2017 Federal Budget lockup. 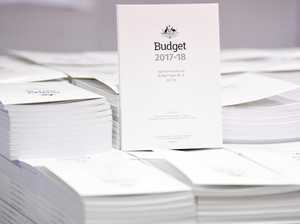 Business HERE'S your five-minute guide to the 2017 Federal Budget. News BREAKING: A massive $536.4m windfall will deliver a six-lane Bruce Hwy from Brisbane to the Sunshine Coast.